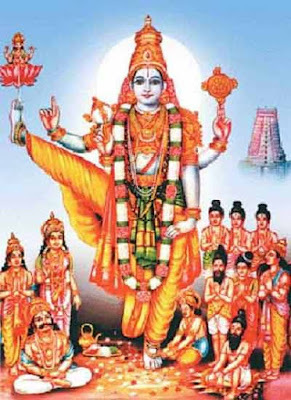 Kainkaryam is serving Lord Vishnu (Perumal) with utter humility. It is an important ritual and puja in Vaishnava school of teaching and is performed with no motive. Kainkaryam is constantly performed at Vaikunta by those souls that attained self-realization and reached the feet of Vishnu. The only aim of a devout of Vishnu doing Kainkaryam is to be of some service to the Lord. 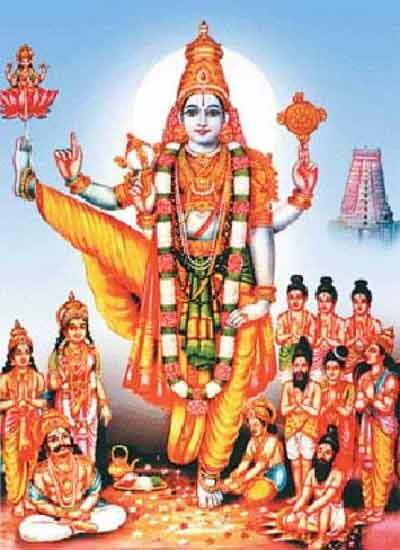 Service to the Lord is considered an easy way to attain liberation and reach the feet of Srihari Vishnu. Service to the Lord is a service to all animate and inanimate. A person performing service without any expectation is always near to the Lord. The service can be of any form. It is for the devotee to decide in what way he/she wants to serve him.